In traditional China, the art of writing or calligraphy was the most highly prized form of visual art. Painting and calligraphy came out simultaneously, and both of them used the same tools, ink and brush. Still, calligraphy was revered and recognized as a fine art form long before painting was esteemed in the same. 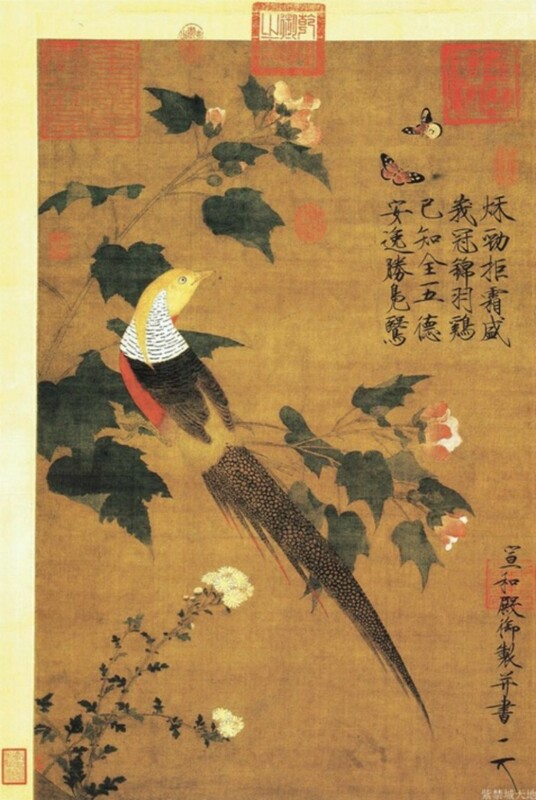 It was only during the Song Dynasty that painting came to the level of calligraphy in technique, form and aim. Before that, painting was relegated as a craft and not one of the fine arts. In Imperial China, the word was very powerful and important. Emperors have been known to engrave their pronouncements on stone steles and mountain sides, to assert their authority over their subjects and for posterity. The written word was the main qualification of ancient Chinese scholars to assume influential positions in culture, society and government. This was the main reason why calligraphy held such a lofty position during those times. It was also because it was a visual form. In those days (and even today), learning to read and write Chinese was very difficult due to the absence of phonetic or alphabet system. Each word was presented by a distinct symbol or character. Each word had to be learned and memorized individually through a very long process of writing and rewriting. Even today, an average person must know at least 3,000 characters to be able to read the newspaper. A very well-educated person would be familiar with more than 5,000 characters while a professor will have knowledge of, say, 8,000 characters. Overall, there are more than 50,000 characters in the Chinese language, the majority of which is never used. This limitation is also the strength of the written language, for the Chinese characters impart more than semantic meaning or phonetic sound. Traditional calligraphy play several roles – denoting particular meanings, a moral model, nature’s vitality or a manifestation of human energy, for it shows the calligrapher’s strength in the brush strokes. Although it may appear abstract, Chinese calligraphy is not an abstract art form. It shows dynamism and energy, indicating that the person has a balanced framework, strength in his skeletal structure and his moral righteousness. This is conveyed in the exact manner through the utilization of brush and ink because it can be manipulated into a complex set of effects. Most of these were shown by changing the ink’s consistency and how much ink is taken by the brush. The black ink used in Chinese calligraphy came in either cake or solid stick forms. The ink is ground on a stone surface and then water is added. By varying the mix of ink and water, the calligrapher controls the intensity of the ink. He can then load his brush with less or more ink, or allow the ink to almost run out before he dips the brush in the ink once more, thus creating characters that can sometimes look like a drop of dew or a shower of rocks. The calligrapher can also vary the width of the brush strokes to create 2D or 3D effects. Other effects are created by the speed and pressure he exerts in creating the strokes. 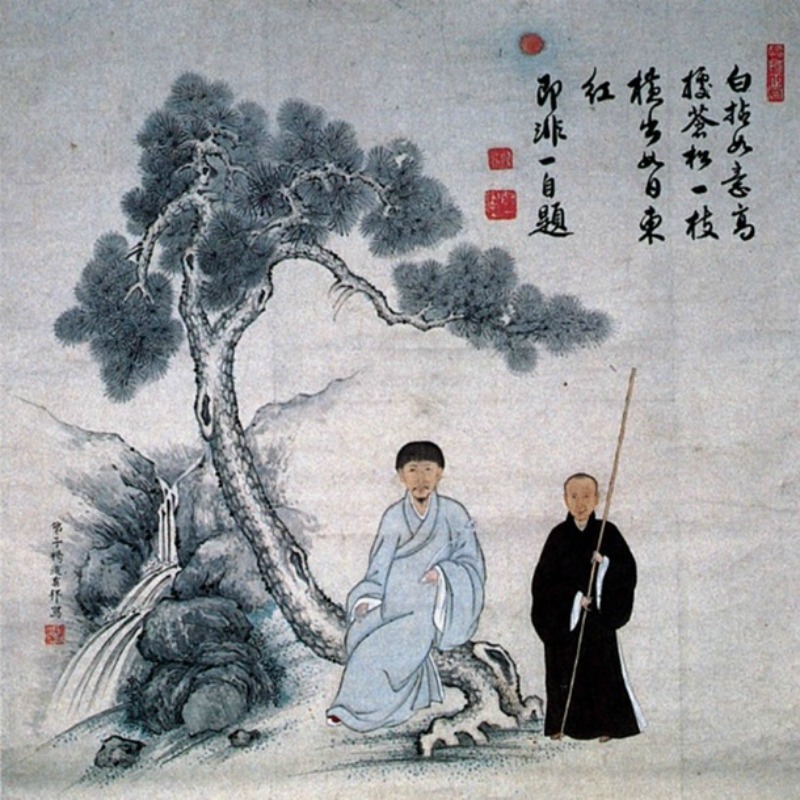 Since the brush is an extension of the calligrapher’s arm, studying his work closely will reveal his character and his mood: rebellious, elegant, restrained or impulsive. While calligraphy is a very expressive form or artistic writing, there is control in it. It is a counterbalance of dynamism and order, which is evident in all facets of writing in Chinese. Texts in traditional Chinese were written in vertical columns, meant to be read from right to left, have no punctuation and had no proper nouns. The arrangement of characters is carried to each individual character. They have to be written in precisely the same way every time like a choreographed dance. Chinese calligraphy has been around for more than 3,000 years, and its beauty still endures. Just like a true art form, it can express the writer’s inner world aesthetically. Creating it requires inspiration and serious concentration. Calligraphers usually forget everything, putting all their concentration on what they are creating. 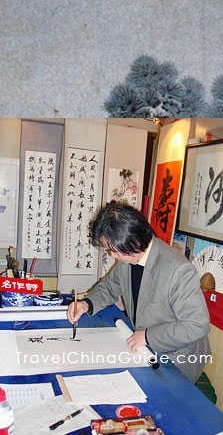 Today there are writing brushes for Chinese calligraphy work, but the original brush and ink method is still the best. Chinese calligraphy is very much alivein China today, and many follow and practice the art as a hobby.